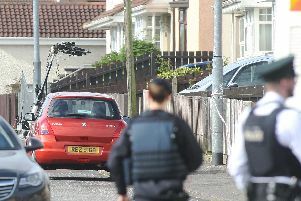 Police are appealing for information after a man was assaulted in Londonderry. The alleged assault occurred in the Galliagh area of the city in the early hours of July 9. The man, in his 20s, sustained facial injuries as a result of the attack. Constable Brian Walsh said: “We would appeal to anyone who witnessed the incident, or has any information that would assist the investigation, to contact police at Strand Road on the non emergency number 101, quoting reference number 1188 10/07/2017.